Welcome to Orange County School of Martial Arts OCKickFit™ Fitness Kickboxing! 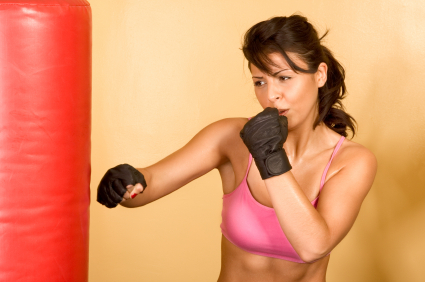 Fitness Kickboxing is the fastest proven way to get into shape - a high-energy, feel-good approach to martial arts. It's an explosive workout, done to music and at your own pace. The movements have the added benefit of practical self-defense applications. The National Association of Professional Martial Artists reports that "Cardio-Karate" has a number of advantages straight aerobics classes just can't touch. Thousands of Americans who have been taking aerobics are looking for something new and are taking advantage of this new exciting trend that has swept the country. They feel the difference right away. Fitness Kickboxing combines boxing, kickboxing, footwork, bag work, stretching, and Chinese breathing exercises. It stimulates the mind and the body while teaching self-defense skills. Anyone interested in burning fat and calories and looking firm and trim will appreciate the aerobic kickboxing workout. Muscle and Fitness Magazine rated aerobic kickboxing as the number one calorie workout at over 800 calories burned an hour! This is not a traditional martial arts class. The attire is shorts, sweats, t-shirts, or whatever you prefer. 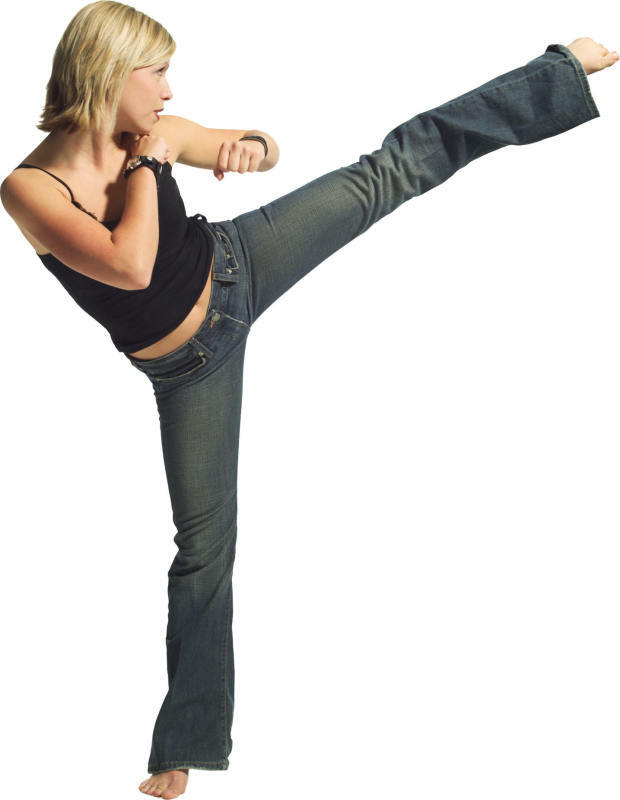 The instructors are friendly and motivating, trained in martial arts and certified in Turbo Kick® (see below). Their goal is to make the one or two hours a week that you work out the best you hours you spend all week long. For information about private or group classes fill out the form below or call us at 949-874-KICK (5425)! Working out is something that has to fit into everyone's busy lifestyle. Some are early risers and other night owls. Some of us care for children while others punch the clock. Help us tailor a workout schedule that works for you! Tell us your preferred workout time by filling out our poll. Burn calories and blast fat! Turbo Kick® is a combination of intense kickboxing moves as well as dance moves all perfectly choreographed to high energy and motivating music. It’s the ultimate cardiovascular challenge that’s a unique blend of intense intervals, strength/endurance training, and a relaxing cool-down. 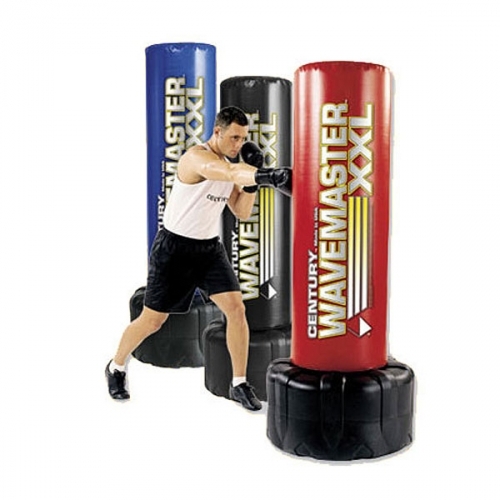 Turbo Kick® requires no previous kickboxing experience or equipment. You’ll have a blast doing Turbo Kick® with us.